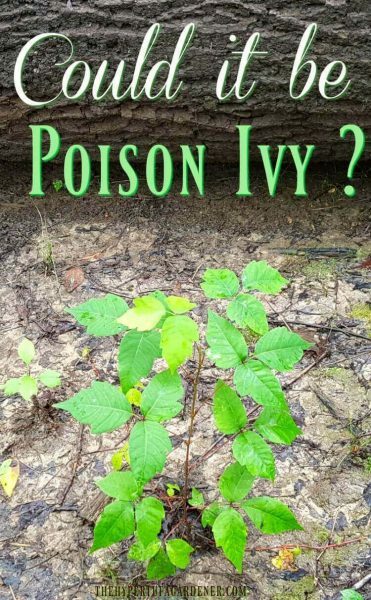 Poison Ivy Identification – How Do I know? I haven’t recently had the pleasure of getting the rash. ( Well, now I have doomed myself.) But when I have brushed against it in the past, I can itch for days. It is the urushiol that gets on your skin that causes the torment. 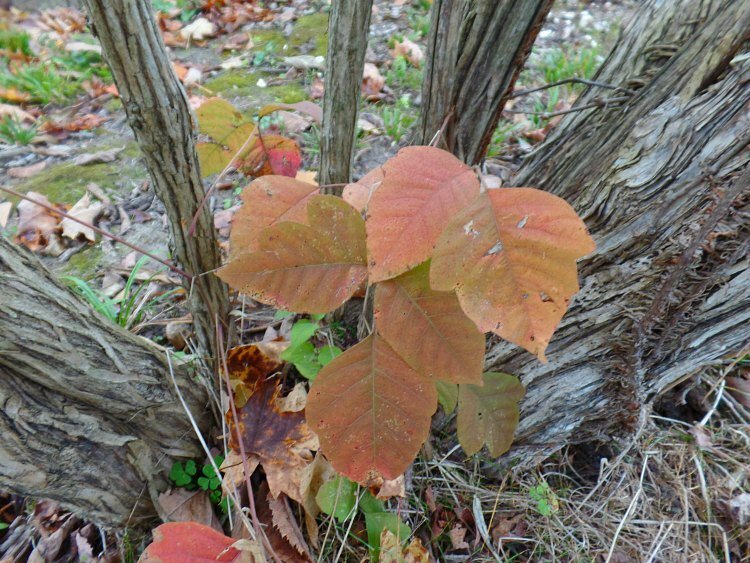 Urushiol is in the resin of the Poison Ivy plant ( Toxicodendron radicans) and coming into contact with this resin is what you need to guard against. My husband is not affected by poison ivy. We are so lucky since there are some wooded areas of our yard that have had a lot of it growing. Large twisted vines are attached to the trees and I keep away from them. My daughter, on the other hand, is very allergic to the urushiol and gets very painful blisters until she is forced to go to the doctor for steroid treatments. 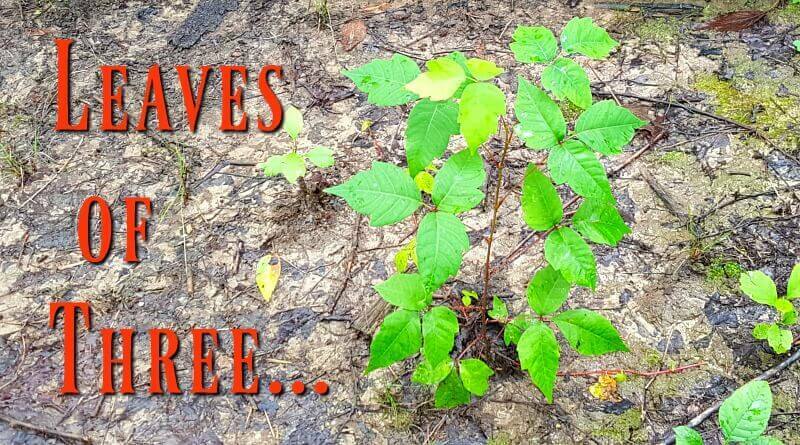 Poison Ivy Identification – Is it or isn’t it? Two opposite lower leaves are asymmetrical with the one side closest to the main vine vaguely looking like a mitten. 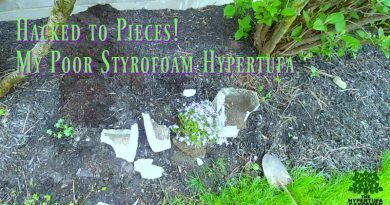 Here is a video which will help explain those points to watch for on any plant you think may be poison ivy. 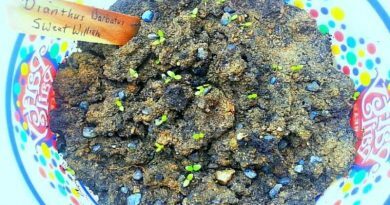 And for more posts about my Backyard Flower Garden, click here. This plant is a real pain in the….neck. Any contact with leaves, stems, roots or any portion of the plant can cause the blistering and itching that we are all familiar with seeing after a day in the garden or woods. Sometimes we know we may have been in something suspicious, but other times you just don’t know. Touch a jacket that was once in the woods and brushed against the plant may transfer the urushiol back on to your skin. Your pets are not affected ( usually) by the plant, but when they brush against it and get it on their fur, they can bring it in to you. What can you do? The only thing I know of is to wash off your skin asap and also to wash all your clothing too. Same with your pet. Poison Ivy – What is it Good for? Even though we really don’t like this plant very much, it does have good qualities. Truly it does. The berries are food for all kinds of birds to eat during winter when food is scarce. Even deer and rabbits eat the berries and leaves and even gnaw on the barks or stems. So it does support our ecosystem. Bees like these flowers. So there you are! Should you let it grow? Not in my yard or garden! I have to outweigh the good and the bad. It needs to stay out in the woodlands. How do you feel? 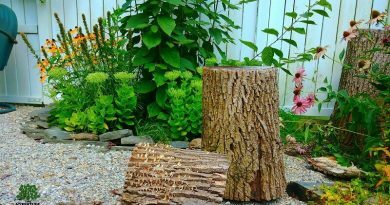 I Told Him No Tree Stumps In The Garden….Oh Wait!